Happy Monday, blog fans! We're giving makeup a little break for today and talking accessories. Charms (or beads, if you will) to be specific from Soufeel. 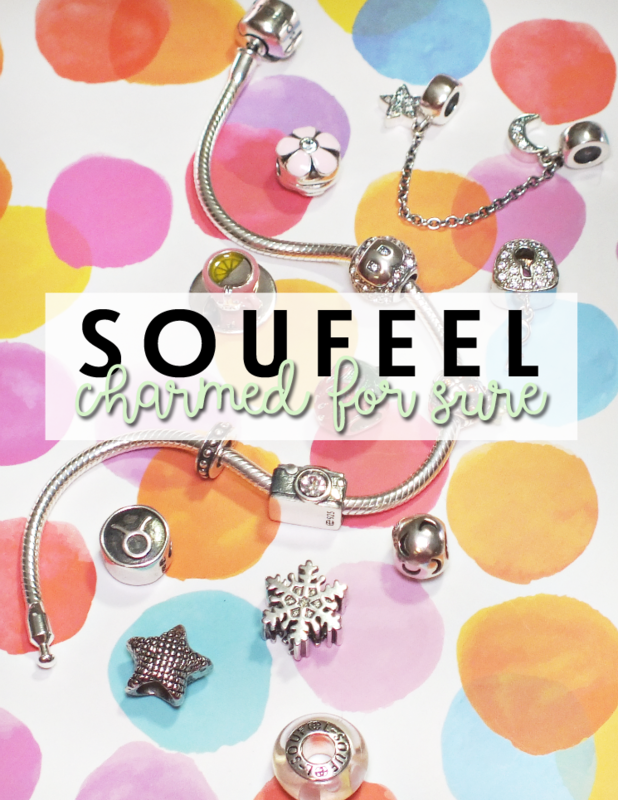 If you're not familiar, Soufeel is home to a huge range of sterling silver charms, bracelets, ring, necklaces..... They kind of have a bit of everything, but the charms are their shining glory. As mentioned, Soufeel does have a pretty impressive range of jewelry, but the charms (European or Troll beads) are their main product. 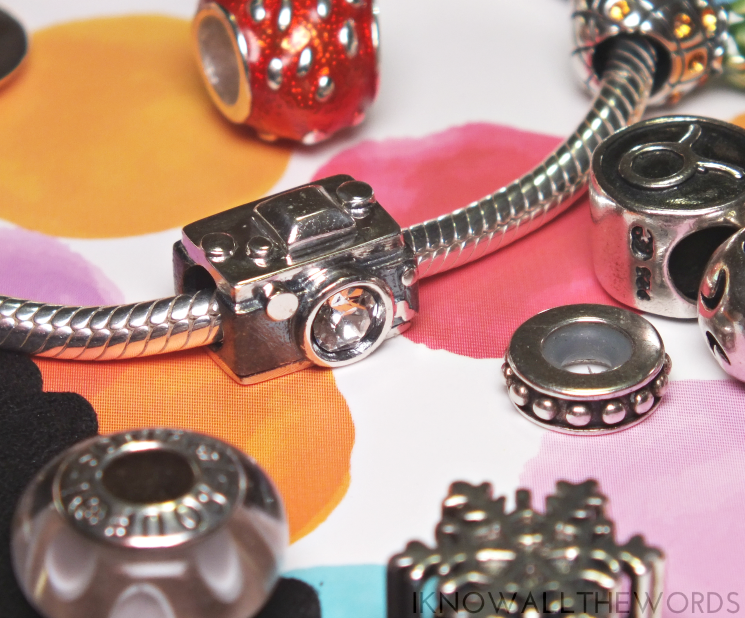 They offer unique (and adorable) options to suit every style and personality, with everything being made of sterling silver. Yes, they do tarnish (as sterling silver so annoyingly does) but they'll last a lifetime. Of the new pieces I was sent from Soufeel, everything is weighty (in that quality-made type of way), in perfect condition, and so cute! I will try to limit my use of that word, but seriously, they make such great designs. Each charm/bead come individually packed in a little zip-bag for safety, with everything all nestled in a soft velvety bag. 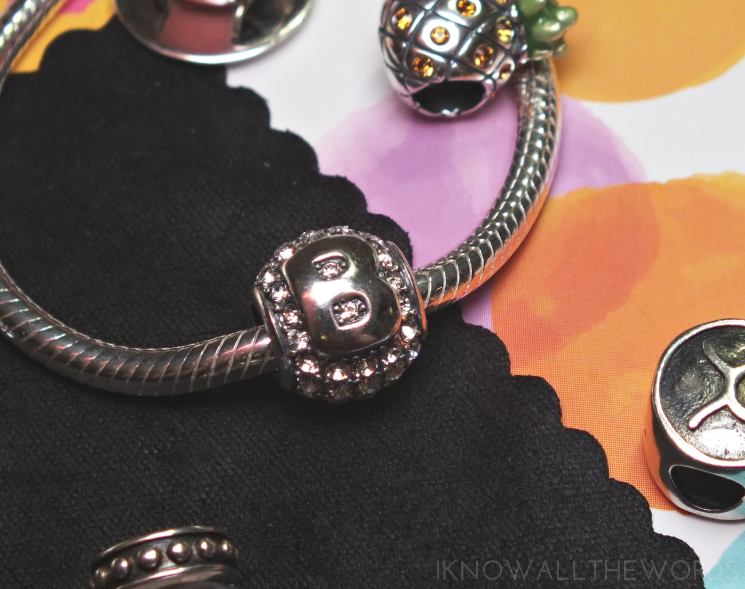 My name starts with B, I like B, so the Letter B charm was an obvious choice for me. The round bead is encrusted with clear stones (super sparkly ones, at that) topped with a captial B. Cute! I love my cold brew, but tea is first in my heart. 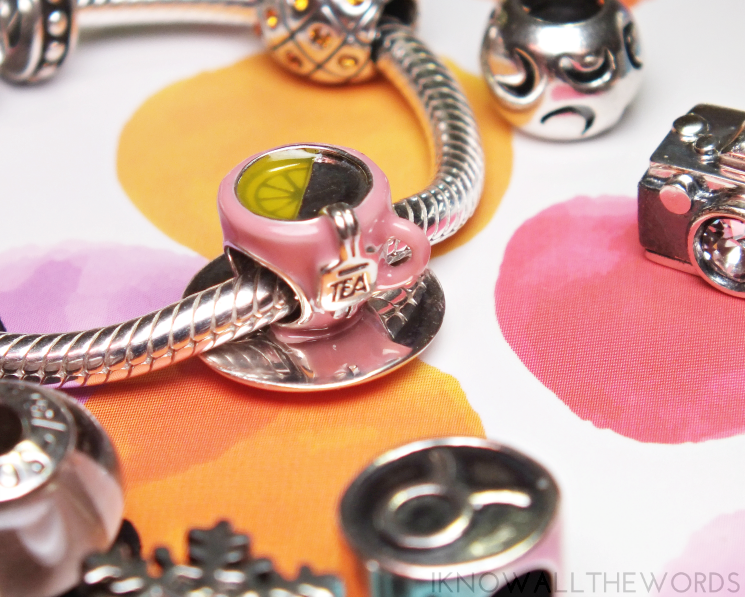 The Lemon Tea charm is beyond adorable with it's pink tea cup on a silver saucer, slice of lemon (even if it looks more like lime...) and tiny silver tea bag hanging over the edge of the cup. As must for any tea lover. The Soufeel bracelets have very secure closures (read more here) but one they're loaded up with charms, it would still be heartbreaking if it were to open and have your charms fly off. 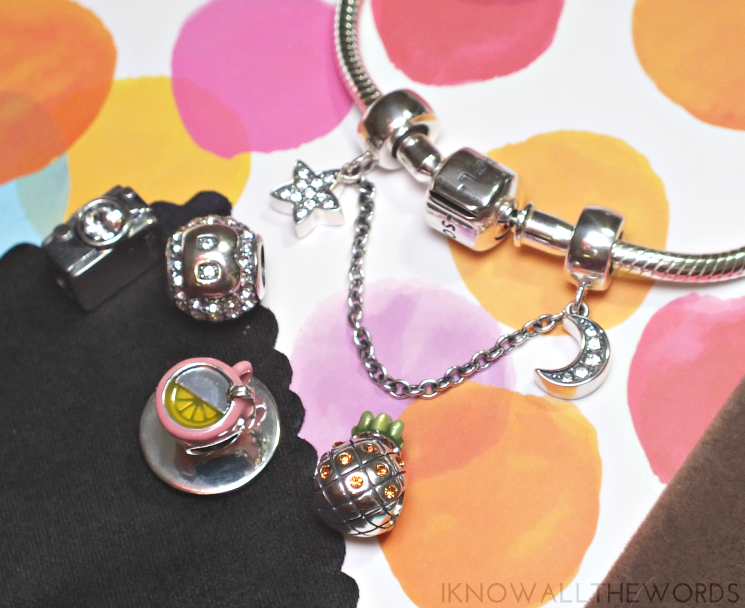 The solution comes in the form of the cute and functional Star and Moon Safety Charm. 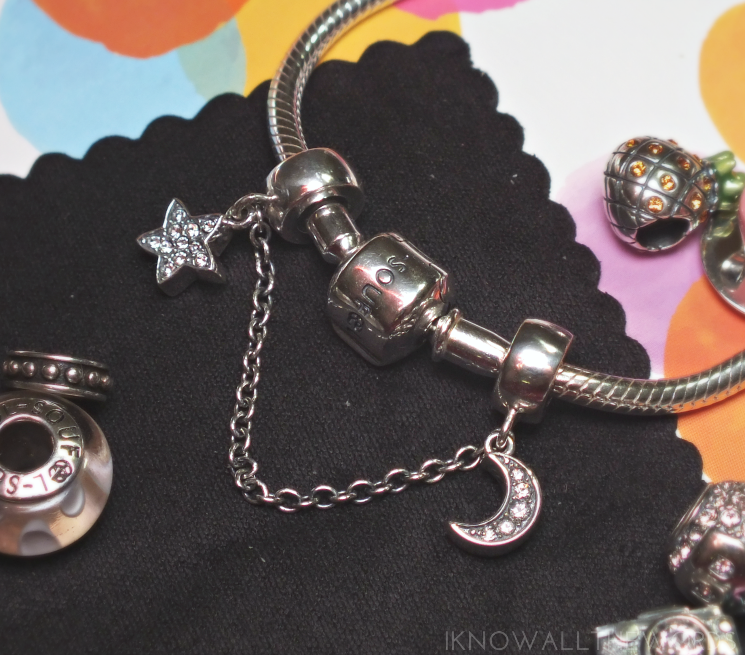 The charm has two silicone filled beads (to stop them from sliding off on their own) connected by a chain and adorned with a crystal studded star and moon. The chain can be used to surround special charms (and keep them in place on your bracelet/chain) or used around the clasp to prevent charms from sliding off if it were to accidentally open. Vintage Camera... A must have for most bloggers. I have a love/hate relationship with my camera, but this little one is... so... cute! I had to, sorry. With a shimmering stone in the lens and raised buttons and details you can't help but love it. Last up, a Pineapple. I know, pineapples are super trendy right now, but how can you not love a bit of pineapple? Delicious and adorable (it also ties in with my strawberry charm.) 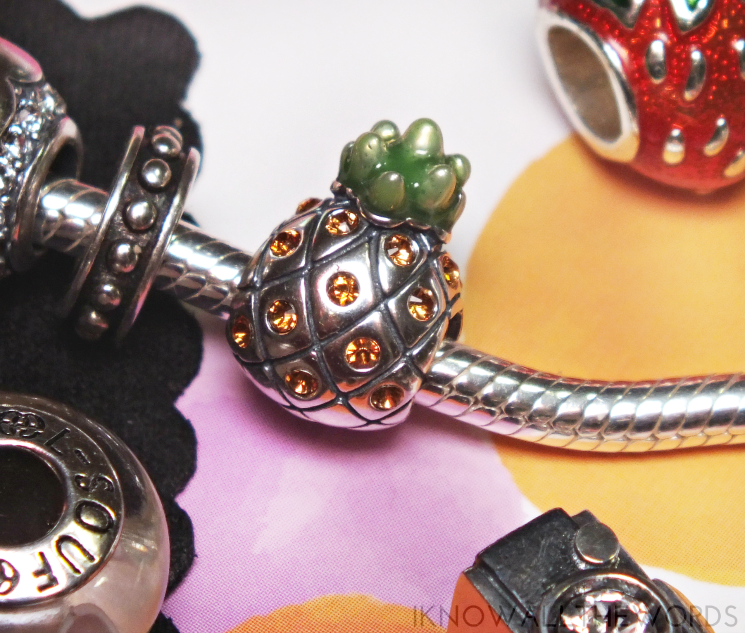 The pineapple is set with golden stones and green enameling on its crown for full effect. It it top heavy, so it won't stay upright on a necklace, but is perfect on a bracelet. Overall, I'm thrilled with my selections! The quality is amazing and there is so much detail and care put into every Soufeel design. 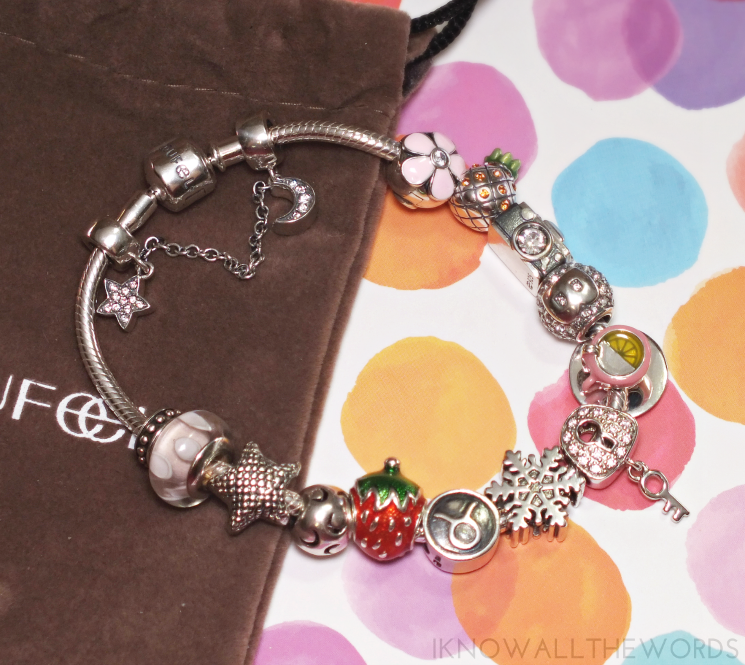 Are you a charm/bead collector? See any you need in your life?